Do you have the mind-set to be a Resilient Manager? Resilience is a person’s capacity to respond to pressure and the demands of daily life. Dictionary definitions include concepts like flexibility suppleness, durability, strength, speed of recovery and buoyancy. In short, resiliency affects our ability to ‘bounce back’. In total, 15.4 million working days were lost in 2017/18 as a result of work-related stress, up from 12.5 million the previous year. In fact, the World Health Organisation has named stress the ‘health epidemic of the 21st century’ and employers and policy makers are increasingly taking the stress, anxiety and depression affecting valuable members of their workforces much more seriously. Resilience at work is now recognised as a defining characteristic of employees who deal well with the stresses and strains of the modern workplace. At work, resilient people are better able to deal with the demands placed upon them, especially where those demands might require them to be dealing with constantly changing priorities and a heavy workload. As gatekeepers between the employee and the organisation as a whole, line managers are critical in helping promote positive employee wellbeing in the workplace. However, managers are themselves working long hours and feel under pressure in their roles. This is having an impact on their own wellbeing, particularly their personal and social lives. Senior Business leaders have a responsibility to create open organisational cultures that help all their employees recognise wellbeing as a critical issue, and which empowers line managers to engage with wellbeing as a vital priority. Ensuring that line managers have what they need to maintain their own wellbeing and be resilient to the constant change occurring in business today is paramount for them to positively influence the wellbeing and behaviours of others. In this blog, we explore how managers can be helped to manage change and remain resilient. It is better to provide them with the coping tools and support that they need early on, rather than waiting until they are struggling with their own mental wellbeing. Organisations are recognising that they depend on having a healthy and productive workforce and they know that when employees feel their work is meaningful and they are valued and supported, they tend to have higher wellbeing levels, be more committed to the organisation’s goals and perform better. What threatens resilience and mental health in the workplace? The speed of business as well as the speed of life continues to accelerate rapidly, and that creates changes in how we work, how we communicate, how we travel, and how we receive information, to name just a few. Workplaces are in a state of constant flux, due to factors such as globalisation, and these changes can also bring about significant stress on employees. For example, fixed working hours and down time have become a thing of the past, with international customers and partner organisations, all in different time zones. With advances in new technologies, employees are faced with the need to constantly update their skills and expertise. Also, with the decline of the old concept of a ‘job for life’, people are becoming more selective about the jobs and the environments they work in. Many employers try to ease stress in the workplace using methods such as reviewing workloads, offering flexible working or addressing a workplace culture that may encourage long hours without breaks. A better way of supporting workers is to implement measures to help them boost their resilience to stress. Line managers can help to improve employee wellbeing by practising positive behaviours and building personal relationships with their teams, which can help increase employee motivation and loyalty to their organisation. With the right interpersonal skills, line managers can also help to stimulate new ideas and innovation within their teams. Line managers are under increasing pressure from above and below. Resilient management skills in the midst of a high-pressured, fast-paced and continuously changing environment are now more critical than ever. Organisational change, staff cutbacks, deadlines, pressures, upheavals, business uncertainty, tough decisions, building team/individual development, morale, performance; the list seems endless and they all contribute to organisational growth and success. What is a Resilient Manager? 'Resilience is the process of adapting well in the face of adversity, trauma, tragedy, threats or significant sources of stress’, according to the American Psychological Association (APA). 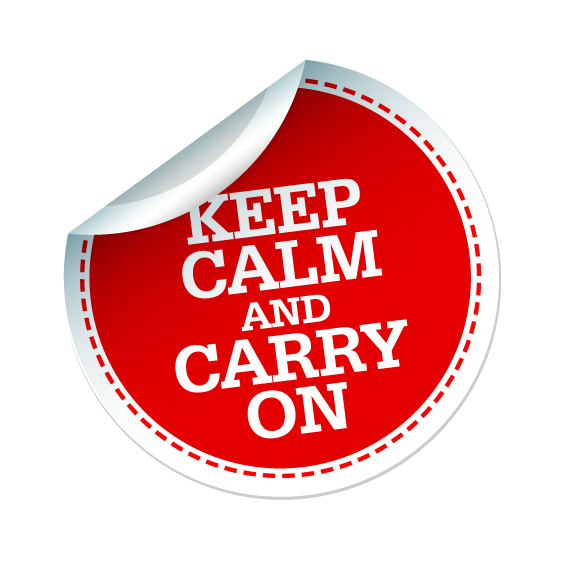 ‘Keep Calm and Carry On’ is how British households were encouraged to cope with the deprivations of the Second World War and the same message of resilience in the face of the stresses and strains of modern living has become a popular catchphrase today. move forward in a positive manner. Studies have found that more resilient people are higher performers and respond better to change. They are more motivated, build better working relationships and are less likely to take time off sick or suffer from low morale. It is said that those with greater resilience are better able to manage stress, which is a risk factor for conditions such as anxiety and depression. The hormones released into our bodies when we are stressed impact not just on our immune systems, making us more susceptible to illness, but on our thinking and emotions, potentially affecting the decisions we make. Managers operate at all levels of the organisation. They set the tone, the climate and the expectations for the workforce. Managers wield enormous power over others. Managers have a huge role to play in relation to building sustainable resilience. It is important that this power is used to achieve mental wellbeing and performance at work for organisations to achieve consistent peak performance. Today's leaders are getting barraged with roadblocks, let downs and failed attempts at success. The true grit of a leader is not how they perform during the good times but rather how they display emotional strength, courage and professionalism during the most trying times. As a leader or manager, your staff are watching you all the time. The way you compose yourself serves as a model for those around you. If you act like a weak leader, the people around you will learn this style of leadership. On the contrary, if you show resilience and strong leadership skills, they will take that lesson forward with them in the hopes of becoming more resilient themselves. Resilient managers in the business world see changes as opportunities for growth, and have a calm confidence in their own ability to cope. They make decisions easily and quickly and can reframe failures during periods of turbulence. If your business quickly and easily takes what is typically seen as a negative or bad business scenario and turns it around into a learning experience then it is a resilient organisation. Can I learn to be more resilient? It would be ideal to be able to reduce stress entirely — whether it's workload or unrealistic expectations of administrators or of oneself. However, in the absence of that impossible dream, leaders can help their staff become more resilient in the face of stress while minimising the impact on their emotional, mental, and physical well-being. While we cannot become impervious to stress, we can learn ways to adapt to and cope with stressful environments. According to the Institute of Directors, Mental health is one of the greatest causes of sickness absence in the UK – yet for every £1 invested in well being, there is a potential to generate a return of between £1.50 and £9. So, ensuring employees are mentally thriving ultimately enables businesses to thrive too. Organisational resilience can only be developed when there is a culture of honesty and transparency - where there is an environment where everyone feels appreciated and significant to the corporate vision. Providing managers with a comprehensive understanding around common conditions such as stress, depression and anxiety, and an awareness of how they arise and are managed, is essential to help managers feel empowered to make a positive difference in the workplace. Emotional and interpersonal skills are becoming increasingly important for managers to be able to build relationships with their staff and discuss sensitive topics around wellbeing. The good news is that resilience is not a fixed entity and isn’t something that a person is blessed with, or not. It can be taught and the workplace is an ideal place for people to learn to build their resilience. The ability to cope well with pressure, adversity and uncertainty relies on developing behaviours, thoughts and actions. Anyone can learn these habits and create strategies to help increase resilience and hardiness. Negative emotions such as fear, anger, anxiety, distress, helplessness, and hopelessness decrease your ability to solve problems, and they weaken your resiliency. Such emotions transfer to your staff and bring them down as well. Additionally, constant fears and worries weaken your immune system and increase your vulnerability to illness. Even if the organisation you work for is unstable because the executives and administrators can't manage rapid change, it's possible to find ways to handle the pressure and keep bouncing back without having anxiety attacks, sinking into hopelessness, or acting in dysfunctional ways. The ability to stand back from events that cause us difficulty and reframe them more positively is an important capability. Recent research shows that good line management is linked with good health, wellbeing and improved performance among staff, whilst poor quality leadership has been linked with stress, burnout and depression. Many of the approaches line managers can take to support staff wellbeing are straightforward. Developing a management style that is open, approachable and self-aware goes a long way. Asking simple, open and non-judgemental questions about an individual’s mental health, giving staff an opportunity to communicate what keeps them well at work, and an ability to reflect on managerial style, will enable relationships and team dynamics to be as healthy as they can be. Personal resilience should be encouraged by giving employees the opportunity to develop strategies to cope with stress before it becomes a problem – which may be through training. Investing in line manager training can be transformational not only for the confidence and wellbeing of employees but also for their line managers too. Earlier, we discussed how resilient managers see changes as opportunities for growth, and can reframe failures during periods of turbulence. Research has found that when people have a growth mind-set - a mind-set that perceives a challenge as an opportunity to learn rather than an obstacle to overcome - they respond with constructive thoughts and their behaviour shows persistence rather than defeat. Surrounding yourself with people who have both passion and perseverance towards their goals will help to strengthen or grow the mind-set required to increase your own resilience. And by being less rigid in your thoughts and actions allows resilience to grow too. When you meet every challenge with enthusiasm and creative thinking you will see yourself as capable and this increased self-confidence breeds resilience. Adopting a growth mind-set means you can learn, develop and build your resilience. Like most valuable skills, this will take practice and dedication. However, these efforts are well worth it because fostering these traits of a growth mind-set will have positive impacts on every aspect of your life. To build healthy relationships with a team it is crucial that managers are supported to develop their soft skills, not only in terms of the basics around communication, motivation, teamwork and collaboration, but also around active listening and emotional intelligence too. This will help to ensure that managers are in the best position to address challenges as they arise and create a positive and supportive working environment for employees. GBS Corporate Training are experts in Leadership and Management training for business professionals and corporate teams and offer several learning solutions to help you understand growth and fixed mind-sets, to develop your resilience, and understand how to ensure the wellbeing of your employees. Our new course, The Resilient Manager, explores themes of personal empowerment, emotional Intelligence, fixed vs. growth mind-sets, effective leadership and overcoming adversity and peak performance. Delegates will learn techniques and action planning to build resilience to really make a difference. The GBS Resilience and Personal Well Being course has been designed for anyone who would benefit from building up their own resilience, or if a manager, providing them with the tools and techniques to build up the resilience of their staff and teams. Contact us to find out more about how we can help you and your team to develop growth mindsets to improve your resilience in the workplace.